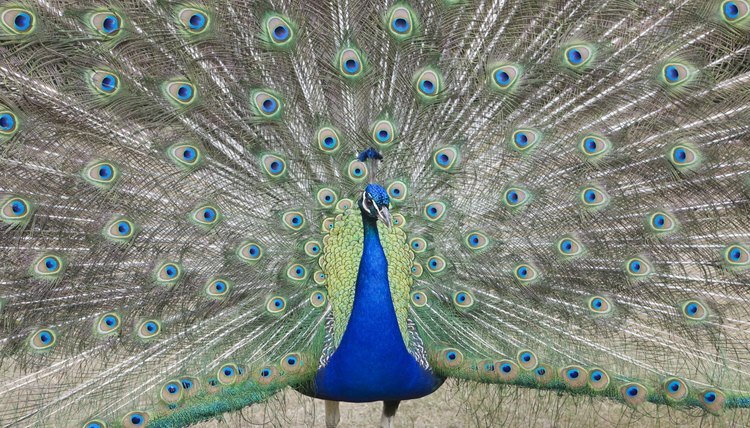 With their bright colors and tame personalities, peafowl (peacocks and peahens) have become popular as pets in rural areas. Their housing needs are minimal except in areas where it can become really cold, and they do not require any special foods to keep them nutritionally balanced, so keeping them does not have to be a complicated undertaking. 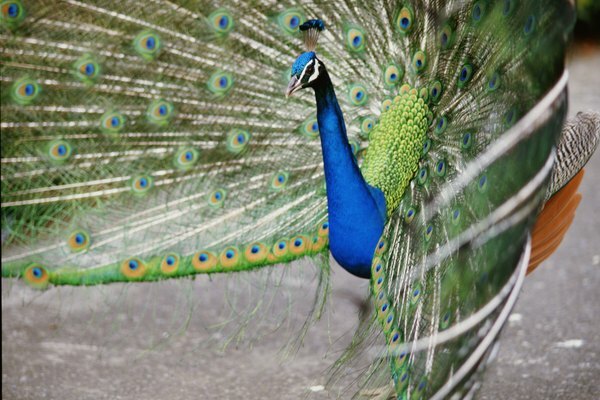 The most popular and commonly seen peacock is the Indian Blue, which has blue feathers on its head and body as well as blue and green throughout its tail. The White peacock is an albino variation of the Indian Blue, and is usually a solid white over its body and tail. The Black-shouldered (with blue, green and black coloring in their wings) as well as the Pied (with blotched white color on the body and sometimes the tail) are also variations of the Indian Blue. Another species of peacock is the Java Green, which has a greenish body and more green coloring in its tail. A hybrid of both the Blue and the Green is the Spalding, with greenish-blue body feathers. 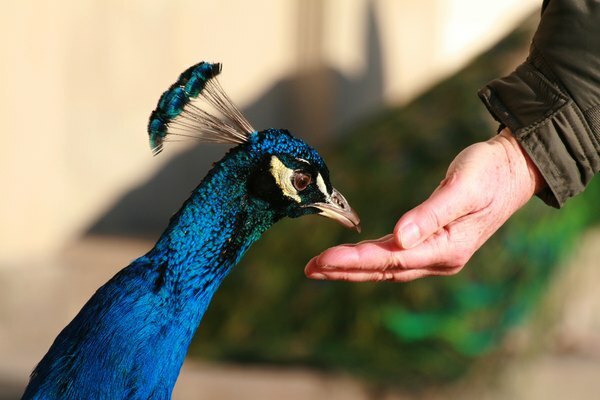 Most peafowl are gentle and non-aggressive, and will become socialized if handled from a young age. 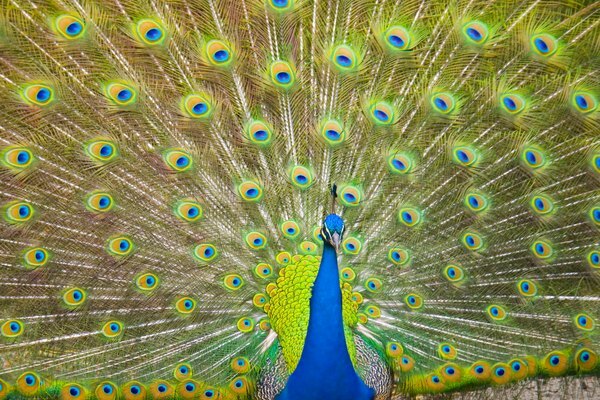 Peacocks may act more domineering or standoffish then the peahens, but even the males tend to be docile unless provoked. They will call to each other, sometimes very loudly, or use their vocalizations to warn of danger or express fear over something. Housing does not have to be complicated for peacocks, who prefer to nest in sticks and leaves during the night and spend the days wandering around your property. Because of their territorial instincts, they will prefer to stick close to home and shouldn't wander off too far. To protect them from weather, have a small building with nesting materials available. If you are in a cold climate, you may want to include a heating unit. 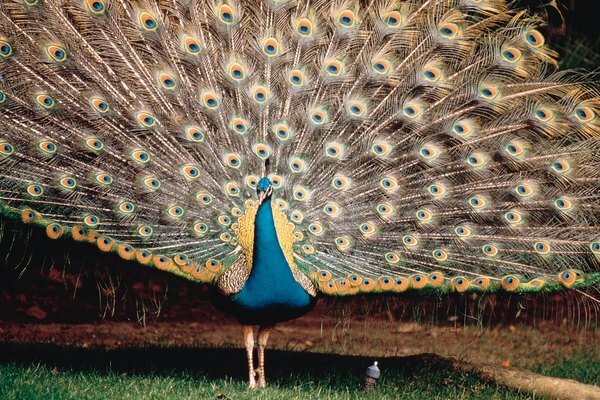 If you do not wish to have your peafowl loose about your property, or are worried about predators getting them, construct an enclosure with complete walls and a roof, as these birds can and will fly out. Peafowl are omnivorous birds and can be given game bird food as well as chicken feed, dry dog food, fresh green vegetables, pasta or even bread. They will often hunt and eat insects that they find in the yard as well. Shell grit, crushed cuttlefish and water round out their daily dietary needs.